Spring is in the house and garden, my lovelies, and life is full of fragrance. The weather is gloriously happy and warm. I think my sister sent the sun to gladden my eyes. We have been playing merrily with Julie Ansiau - French vogue's photographer and interior designer. 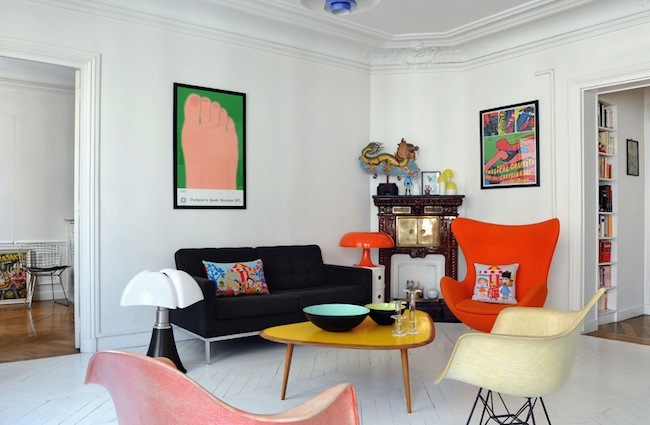 Her Parisian flat below is so beautifully decorated. Just imagine tiptoeing through a private art and furniture gallery. Imagining! And loving it! Yay spring! That flat looks fantastic and is very inspirational, I have my dream home in my head!